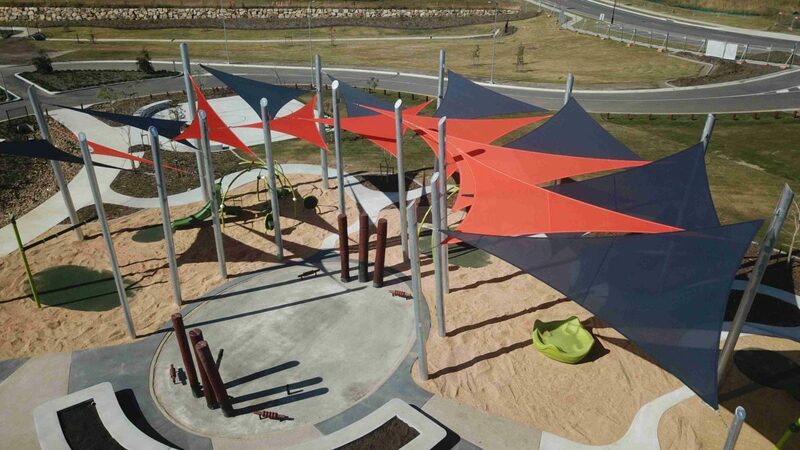 Working alongside Playscape Creation, Modiform have recently completed Playscape’s set of custom designed shade – inspired by the Gabba Stadium’s design – which is an art form in itself. Construction: Steel Laser-Cut Base Plates, Hot Dipped Galvanised with Concrete Free Pile Cap Footing Systems And Custom Fabricated Steel Columns With Shade Cloth Membrane Fixed In Place. 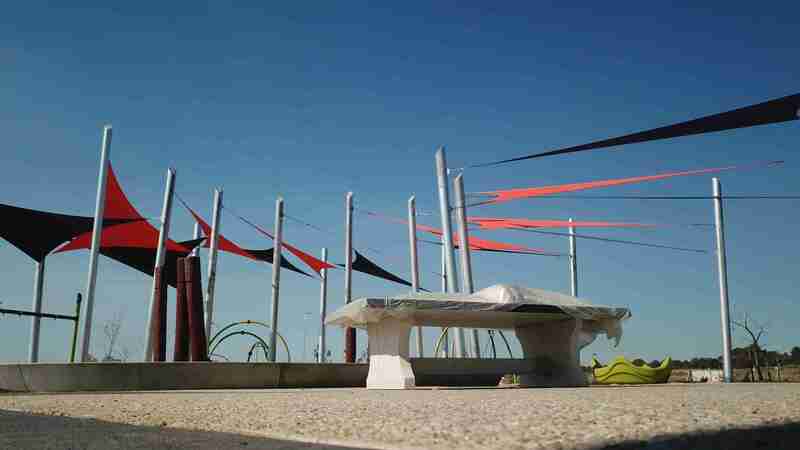 This gorgeous installation protect the “play island” where different age groups and abilities explore and find their fit in the playground with both junior and senior play equipment, multi-user swing and a standard swing for toddlers and older children. Developed by Mirvac as part of its Gainsborough Greens master-planned community, The new 15 hectare precinct include’s two full-size AFL fields along with playground, picnic and sporting amenity. 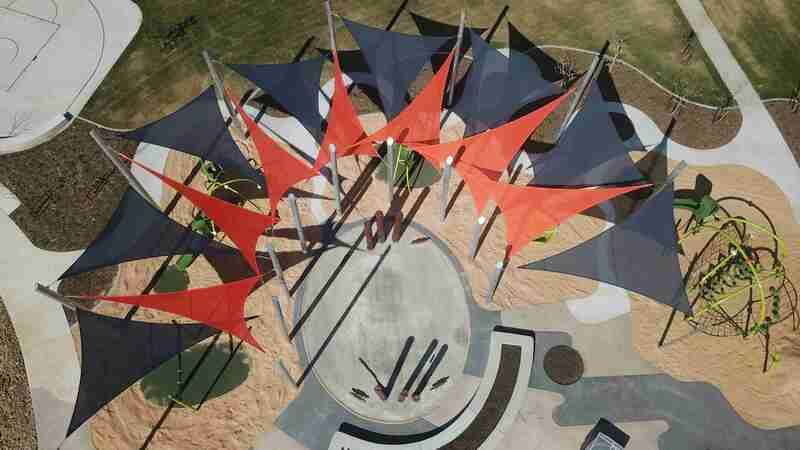 Our favourite feature in the project would have to be the inter-connectivity of the shade sails that emulate the infamous Gabba Stadium’s form. 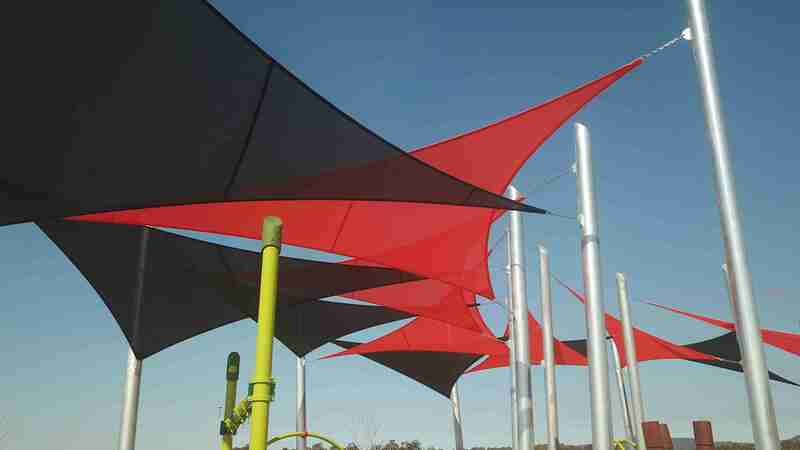 The high and low posts keep the sail tight while optimising shading to the community of Pimpama. 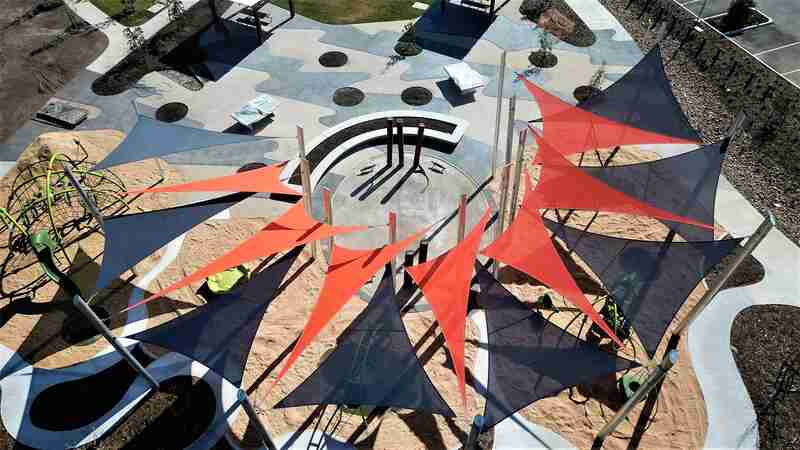 Shade sails add visual appeal and tie in with play elements that define the area. 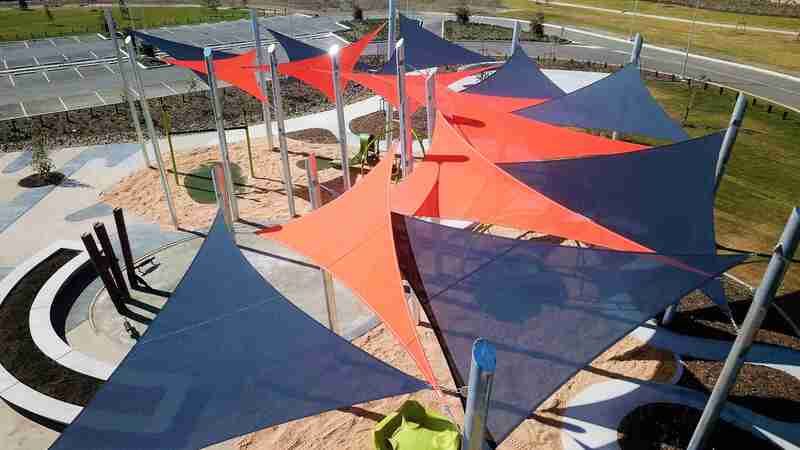 The classic hypar (twisted) triangle shade sail work so well for this application as it hold its shape and adds an architectural look and feel to the area. Thanks to Playscape Creations for another great project collaboration.